Residential bunglows at premium location. 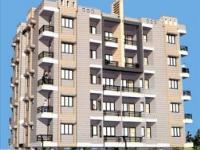 Residential bunglows are very clean and well maintained from inside and completely as per vaastu rules. Anand Vihar, a new big luxurious society having 285 flats and 115 bunglows .. With two gardens, club house, gym, and temple Society has ample space with 30ft roads inside society and open from all sides... Society is very clean and well maintained from inside. The flat is completely as per vaastu .. It is north facing and has kitchen in south east corner. It has two bedrooms .. One is with attached bathroom ... Other with common bathroom. This flat is on top floor ... With abudant light and air. Bedroom balcony is facing main garden ... And has fantastic view ... As it faces bunglows and no flat comes in between. Decorative main gate with security cabin. Flooring: Vitrified tile flooring in Rooms. Granite platform with S. S. sink. Coloured glazed tiles dado up to lintel level. Good quality C. P. fittings. External: Sand faced plaser with good quality water proof paint. Internal: Smooth Plaster with white wash. Decorative main door, other flush doors. All windows fully glazed wooden / alluminium section with safet bars. All concealed wiring with ISI approved copper wire. Adequate, AC, TV, Geyser, Telephone, Fridge, Lighting, Fans & Water purifier points. ISI a pproved good quality electrical accessories. Spacious Society. Fully occupied with well connected from City .. You can shift here immediately as All Day today things are available nearby .. Good Place to stay in the budget ..
Anand Vihar Ahmedabad is rated 9 out of 10 based on 1 user reviews. 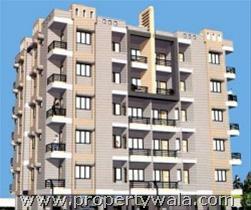 Have a good knowledge of Anand Vihar? Share it and become a Project expert.